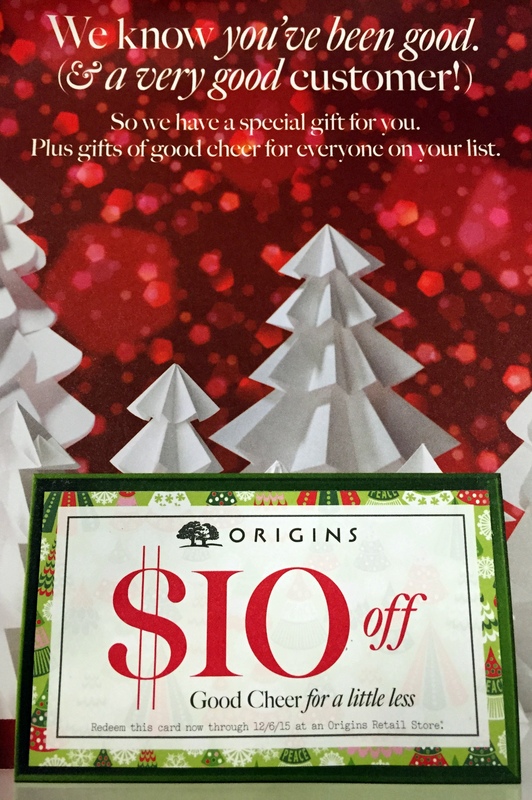 The last time I “bought” something at Origins was about a year ago, when they sent me a holiday gift-card. I got another one in the mail this past weekend, so back to Origins I went. I found it pretty funny that the coupon labeled me a “very good customer“. I wonder what people who actually buy stuff there get?! Basically, I didn’t want to spend any money, but I also didn’t want to let $10 a gift-card go to waste. I’m not in love with any of their products – they may claim to use natural products, but they also use way too much irritating fragrance. Anyway, while browsing their website, I noticed they carry the line of “Ojon” hair-care. My hair could definitely use some TLC – the colder it gets outside, the more unmanageable it becomes. 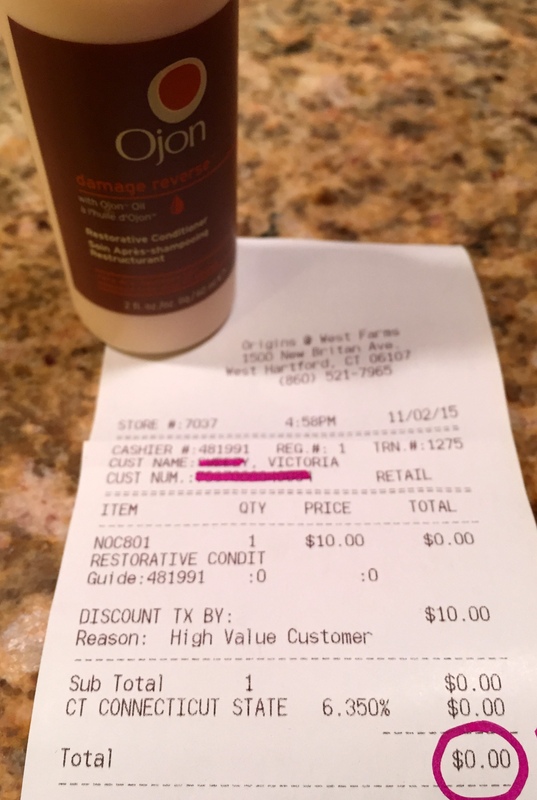 A sample size of the conditioner was exactly $10 – worth a try. I’m not sure who could even consider spending $10 on two ounces of conditioner, but they wouldn’t keep it in stock if it didn’t sell, right? I’ll have to see if it’s worth the high price tag (that I didn’t pay)! I left the store, bag in hand, without spending a dime. Goal achieved! ‘Till next time, shop & save!